With Instagram galloping past the one billion monthly users mark, it has become the darling of social media marketers because of its extremely powerful networking capabilities. The visual orientation of this fast-growing social media platform has given it a unique edge to entrepreneurs for growing and promoting their brands. According to Adespresso.com, a whopping 80% of Instagram users follow at least one brand on Instagram. Marketing Professionals have taken into account what it takes in building a brand on Instagram and the best Instagram branding strategy. That Instagram as a hip and happening place for brands is further confirmed by HootSuite, which reports that 90% of the top 100 brands are on Instagram. While there are literally dozens of tactics that can allegedly be used to raise the brand visibility and awareness amongst its target audience. The Instagram profile is the key to attracting traffic and giving context to your posts so it is an extremely hot property. The main areas that need to be focused on are your photo, the description, and the link to your website. Since Instagram users are very image-conscious, you should make sure that the photo you use is really attractive. Rather than putting up a photo of your product, you should aim to have a human figure in it as that is always more interesting to viewers. You can use your logo; however, it is essential that you use the same version that is used on your website. Also, on your social media networks, email, or any other communication platform that you are using. As most marketing professionals will agree, as far as logos are concerned, the key to success is consistency. The function of your profile is to inform visitors of who you are, what you do, and most critically, what sort of an experience they can expect if they choose to follow you. Infusing your principal keywords into the description can be a big plus as it helps your account to be found more. It is very important not to have a profile that is vague as it is a very useful tool for marketing your Instagram account to your target audience. If potentials users can’t figure out what to expect from you, it is very likely that they will not follow you. Images are the lifeblood of Instagram, so you need to be very choosy about what you are posting. Not only should they be relevant to your brand but also be extremely interesting and compelling so as to attract the maximum number of eyeballs. Often the photos you shoot in a candid situation may not be up to the mark in terms of clarity or appeal so you need to use a graphic design tool like Canva to dress up your images. And as well to create a news-feed that simply bursts with color or attracts attention with simple elegance. After some experimentation, you can decide on a signature style for all the photos and use Canva to manipulate the photos to create the expected consistency. It can be extremely useful to imbue your posts with the color scheme of your brand to create extra memorability, and such helps in Instagram personal branding. Canva’s color chart is not only easy to use but guarantees that you end up using the exact same shade every time. Hence, this is important when building a brand on Instagram to ensure brand consistency and converting visitors to followers. You can, of course, get real Instagram likes and followers using a commercial marketing service like Gramblast. Helping brand communication to be fun is easy when you create a style pattern and with the help of Canva, it can be quite easy too. Creating a style pattern is a very effective way of lending memorability and unique character to your Instagram posts in addition to using color. You can keep the excitement alive by using one style pattern and then switching to another after some time. The key is to remain true and real to your brand personality and message while changing the look of your patterns to keep the images fresh and interesting. If you want to get your brand noticed on Instagram, using hashtags is not an optional luxury. Marketing professionals and social media branding experts recommend using at least 10-15 hashtags for each and every post against the maximum of 30 permitted by the platform. The key to the Instagram branding strategy for hashtags paying dividends is however not the number but the relevance. There are quite a few applications that you can use to generate hashtags based on your suggestions. Another very effective way is to monitor carefully which hashtags are trending in your niche and what your principal competitors are using. When there is such intense competition for eyeballs, it can help to break out of the ordinary by taking recourse to video and live streaming of events. It has been established the most viewers tend to like and trust videos enough to want to transact with you. It can be a big blessing for businesses to have an opportunity of presenting the brand promise with the help of video and audio to a potential audience of thousands. Live streaming, even though it does not get saved for future viewing, can be really compelling for audiences because it serves to create a feeling of immediacy. Users know that unless they view the stream when it is live, the opportunity is gone forever. By its very nature, live streaming conveys a sense of authenticity that is a very important attribute of a brand. If you want to share short video snippets, you can use Instagram video that also saves by itself in your news feed. For building a brand on Instagram to be effective, it is essential that you have a regular schedule for posting content. 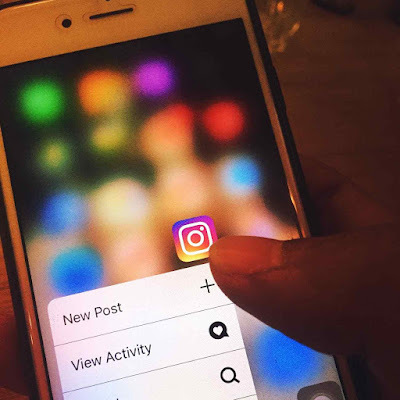 But, since branding on Instagram does not allow automation, you need to keep in mind the schedule to follow to create a sense of predictability. However, with the Instagram branding strategy, it can help to also catch users when they are the most active. Be sure to spend time interacting with your users to create the level of engagement that will heighten the interest of your followers. Hence, once you engage into Instagram personal branding you can encourage them to purchase and use the brand. Author Bio: Harris is a leading blog writer and content marketing professional with thousands of real Instagram followers for his postings. You can visit www.gramblast.com and learn how to build more follower presence. 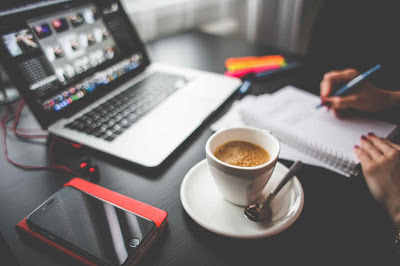 Instagram it deserve business to be hosted there, With over 700 million +, Instagram is a newfangled approach to promoting your business since it effectively combines a captivating image or video with a short description which immediately grabs attention and effortlessly directs the user to the original post. This automatically translates into higher post engagements and more likes, and ultimately more publicity for your blog. Thank you, indeed instagram helps in building of a brand once you follow the branding strategy very well. Thank you Sheqo, You are welcome!